Today is Cyber Monday, the day us lazy people go online and shop. I already got two gifts out the way, both with free shipping! If you have some extra cash burning a hole in your pocket, here is my list of Christmas gifts you can get me. 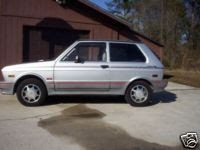 How cool, a 1988 Yugo GVX. I always wanted a Yugo. Click here ,but hurry, the auction ends soon. 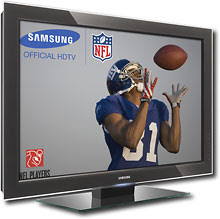 How about a Samsung 55" HDTV? Save over $800 if you get it at Best Buy . Just choose to pick it up at the Dickson City store and I'll go get it. Thanks! 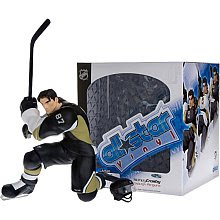 If you know me, then you know I have a thing for bobbleheads, figurines, and even those Starting Lineup action figures. It's kind of embarrassing, actually. That's why you should get me this. Then I can say that all of them were gifts. As of today I don't have any plans for New Years Eve. You can help change that by sending me here. And as always, I take cash.